Meetpoint Midlands is a quiet, relaxed and friendly meeting centre based in Kegworth in the East Midlands. 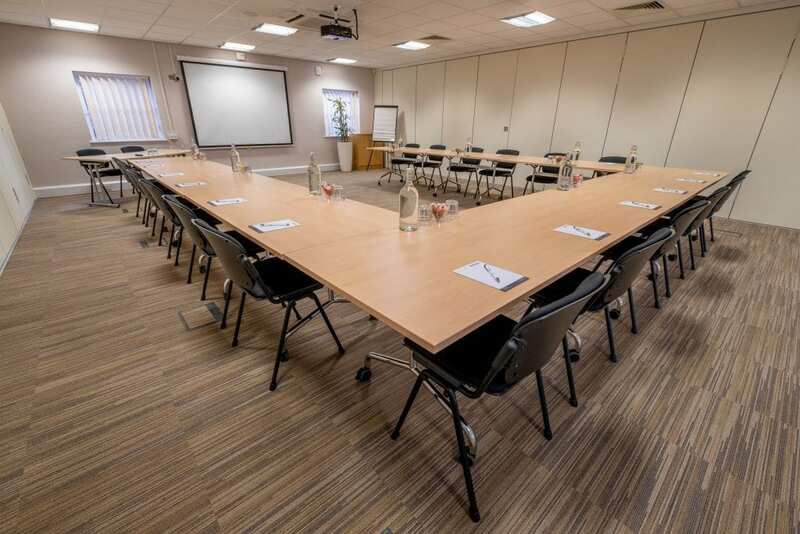 Conveniently located just off junction 24 of the M1, three miles from East Midlands Parkway train station and four miles from East Midlands Airport allowing easy access for delegates and free parking. We have three contemporary meeting rooms available for hire and can accommodate meetings from 2 – 120 delegates. 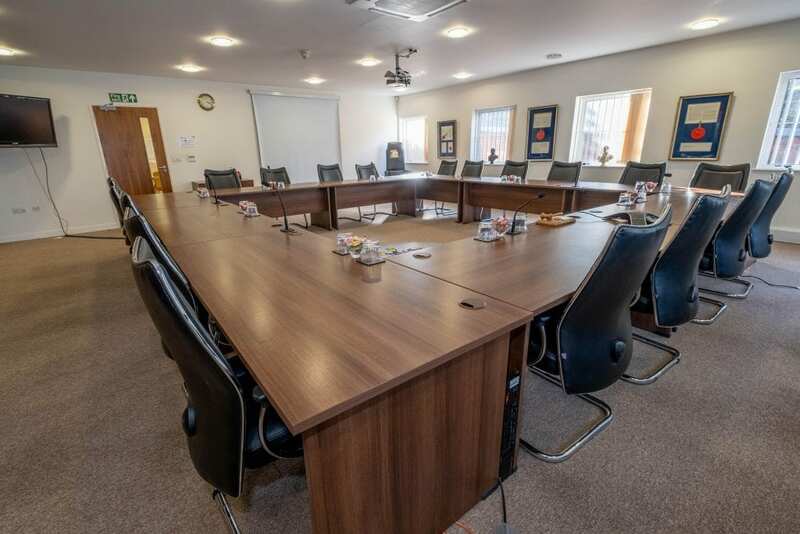 All of our meeting rooms are comfortably furnished, offer natural daylight and come equipped with air conditioning, a 47” TV and inbuilt audio visual equipment. You’ll also have access to a separate breakout area for networking and catering (if required). Whether you choose to hire a room only or opt for our competitively priced day delegate rate you’ll have access to one of our meeting hosts who’ll be on hand throughout your visit to ensure that everything runs smoothly. Further information about our meeting centre can be found across this website, you can also check availability. Alternatively, contact us to discuss your specific requirements. We look forward to hearing from you. To check the availability of our rooms and to book, just use our simple form below! Our beautiful boardroom offers a traditional setting complete with walnut effect furniture, wood panels, modern teleconferencing facilities and two 47in LCD TVs for your executive meetings. Equipped with modern facilities, our spacious and comfortable meeting rooms offer natural daylight, air conditioning and 47in LCD TVs. The interconnected suites are also available as one large space with an inbuilt audio system to accommodate up to 120 people.